The college recruiting process is exactly that -- a process. The information on this page is intended to help BFC players and families better understand the recruiting process and develop a timeline of tasks that should be completed over the recruitment years. Each year we host one girls and one boys College Recruiting Seminar to discuss all aspects of the recruiting process. If you want to pursue a career in college soccer, we highly encourage you to attend these seminars! From running around freshly cut grass as a young kid to training hard on a competitive club team, for most men’s soccer players, the road to playing in college began many years before their recruitment. And that’s why gathering the necessary information and picking the right college to play soccer for is so important. Buffalos FC is fully committed to helping out all of our player accomplish this dream. 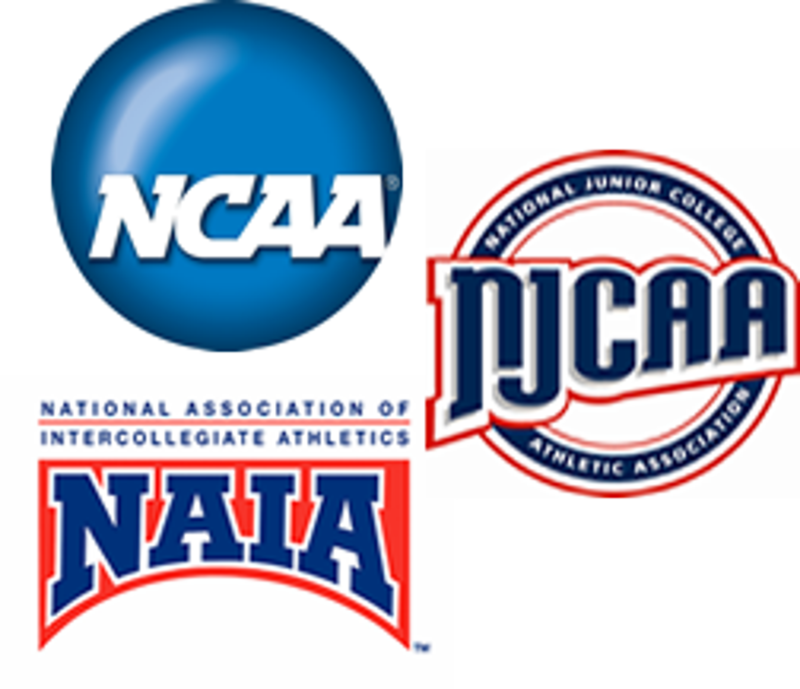 We start the college recruitment process at the 13U level to best prepare and roadmap our athletes for this journey. 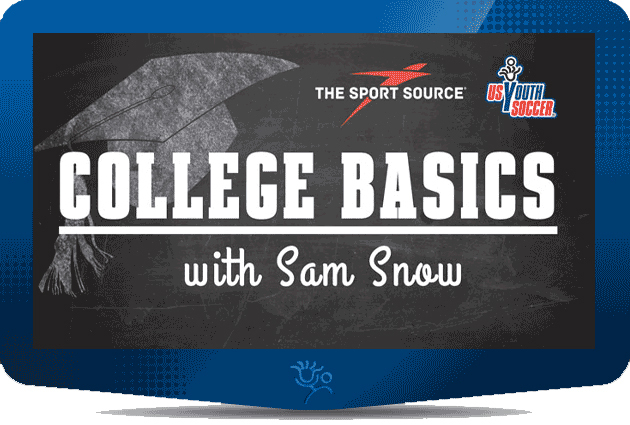 From club tournaments to the best college soccer recruiting websites, we’ve outlined the major sections that will help guide student-athletes along the way on their college recruitment journey. For example, the recruitment process for men’s soccer swings into high gear in 10th grade. Most college coaches states that 74% of Division 1 men’s soccer coaches begin evaluating talent in 10th grade, and another 22% begin in 11th grade. That’s why student-athletes need to obtain club and tournament experience at an early age and make sure they ace the recruitment process every step of the way. To do that, they’ll need to know exactly what college programs are looking for. The Members Only College Center is updated and maintained daily. All Buffalos FC players are provided access a part of the player fees, giving you the most relevant information on all things college, from beginning to end. This even includes High School preparation for our Middle School players. Our interactive search engine MATCHFIT® gives you the power to link, share and tell your story, so you can get recruited. Just choose factors important to you, and let MATCHFIT® do the rest. You know you want to go to college, but you are not sure if you want to play collegiate sports – don't worry – College Profiler™ will help you find the right college in seconds. 87% of all parents say a college education is the most important promise they will make to their child – yet few families have a personal plan. With student counselor ratios exceeding 491:1 nationally, most families are left to “figure it out”. While some families will take a “wait and see” approach, others are “lured” into spending hundreds of dollars on college recruiting services, with negligible results. 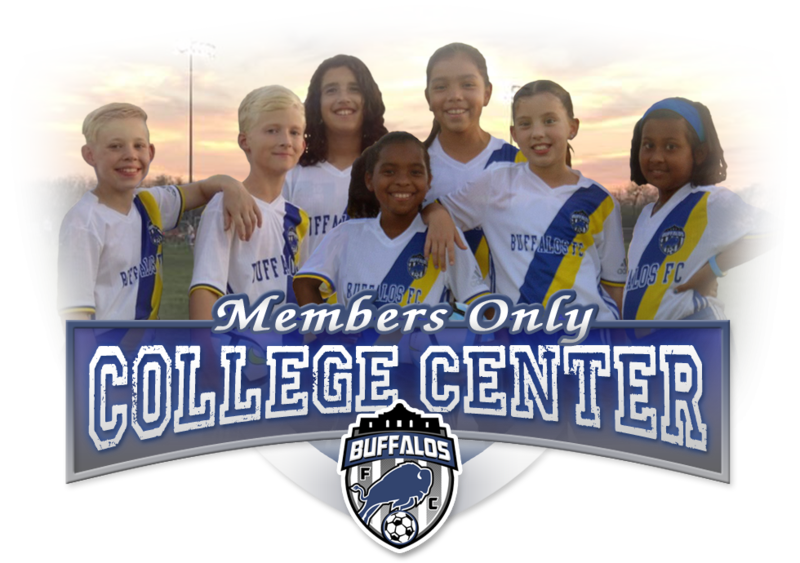 With less than 20% of all youth soccer organizations providing families access to a proven college recruiting approach, Buffalos FC can help players make the right college connection academically and athletically with your Members Only College Center. Buffalos FC Director of Coaching helps all players with this transition, we don't expect our players and parents to "figure it out" on their own. Below are just "some" examples of the tools/resources our members get.